IHS iSuppli projects that cellphones, as a product category, will take the biggest slice of the flash memory pie this year. 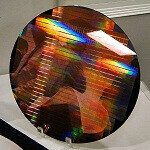 Out of six top categories, cellphones as a whole will take up about 24.6% of NAND flash memory. Flash storage cards owned the top spot in 2012, but fall to third place behind solid-state drives (20.6%) with 19.7%. USB flash drives (13.5%), tablets (11.4%) and MP3 players (3.4%) round up the top rankings. According to IHS analyst Ryan Chen, the cellphone business is eclipsing “all other application markets for flash usage [and] is reflective of a widespread transition in technology markets to focus more on mobile platforms like smartphones.” Indeed, we agree that mobile is dominating nearly everything and there are no signs of that trend abating anytime soon. All-in-all, IHS has the top six product categories owning a little of 93% of the market. The leftovers go to camcorders, navigation devices, set-top boxes and others. There is still room for an expanding role in flash memory, IHS forecasts a greater use of cache SSDs to work in tandem with HDDs in ultrabooks and embedded flash solutions in automotive and “smart home” innovations. How is this news in any sort of way?